With the 997-generation Porsche 911 winding down, a celebratory finale is necessary. 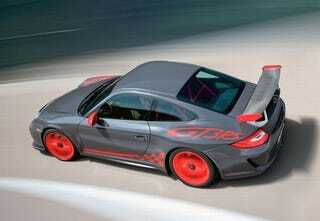 Rumor has it an ultimate, limited-edition Porsche 911 GT3 RS is planned. Only 500 copies, 500-hp and somewhere near the 500th 997 variant.